Election Talk: No 22, June 2005: Zimbabwe's Parliamentary Election 2005: Announcement of Results, Where to for Election Observers in the Wake of the Zimbabwe 2005 Parliamentary Elections?, Reflections on Zimbabwe's 2005 Parliamentary Elections. Election Talk: No 21, May 2005: Was the Secrecy of the Ballot Respected during the 2005 Parliamentary Elections (in Zimbabwe)?, Vote Counting in the 2005 Zimbabwe Elections, Polling Stations (in Zimbabwe 2005), Election Material: Ballot Boxes and Ballot Papers in Zimbabwe. 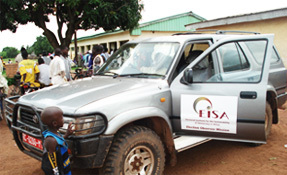 Election Talk: No 20, May 2005: Democratising Access to the Media in the 2005 Elections in Zimbabwe, Political Violence and Intimidation in Zimbabwe's 2005 Parliamentary elections, Use of Public Resources in 2005 Zimbabwe Parliamentary Elections. 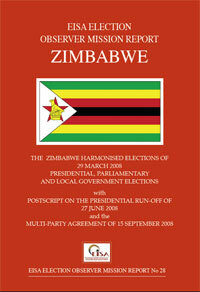 Election Talk: No 19, March 2005: Nomination of candidates and the 2005 Zimbabwe parliamentary elections, Voter registration (in Zimbabwe), Delimitation of electoral boundaries (in Zimbabwe), primary elections in Zimbabwe. Election Talk: No 18, February 2005: Zimbabwe's Constitutional & Legal Framework (II), Elections and Conflict (in Zimbabwe), Management of Elections in Zimbabwe, The Zimbabwe Electoral System and Imperatives for Reforms. Election Talk: No 17, February 2005: Zimbabwe's Constitutional & Legal Framework (I).